Each year we offer a special, limited-time product or promotion dedicated to supporting a designated cause versus a specific charity. The money raised from this limited-time product or promotion is then donated to organisations that supports the cause in North America, the South Pacific, and in Europe. 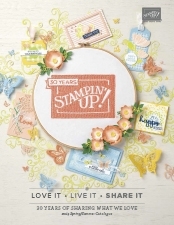 This year, our employee Heart of Stampin’ Up! recipient, Rett Christensen, proposed making our event theme songs available for purchase and donating the proceeds to Autism organisations. Having a son with Autism, Rett understands how important it is to support the community. For myself and my family, having a son who is on the Autistic spectrum, it is close to my heart also. The video is just amazing and really fun to watch! I LOVE the dancing snails! So thanks to Rett, and a group of other Stampin’ Up! employees, you can own a piece of Stampin’ Up! history and make a difference in the lives of those with Autism at the same time! Stampin’ Up! will donate 100 percent of the funds raised to the following Autism organisations: Autism Speaks, Autism Speaks Canada, The National Autistic Society, Autism Europe, Autism New Zealand, Autism Spectrum (ASPECT), and the Japan Autism Society. *There are NOT country-specific prices for this offering. During the purchasing process, the purchase amount will automatically be converted to local currency, based on current exchange rates (around £12 and £4). #stampinsarah #stampinup #stampinwithsarah Heart of Stampin' Up!